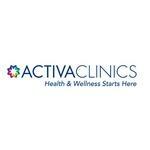 Activa Clinics is a Physiotherapy Clinic in Scarborough. Activa Clinics Brampton offers physiotherapy services and other health care services, including: Chiropractic, Massage Therapy, Acupuncture, and Laser Therapy. They also offer Nutrition and Mental Health services. Activa Clinic’s Corporate Healthcare service focuses on providing customized healthcare solutions for corporations and their employees. Products Carried: Activa Clinics offers physiotherapy and specialty health care services in Scarborough. As a leading health care services provider, health care services offered by Activa Clinics Hamilton include: Orthotics, Massage Therapy, Chiropractic, Mental Health, Acupuncture, Corporate Healthcare, and more. Activa Clinics also offers customized programs for car accident injuries, smoking cessation, weight loss, and personal training/conditioning.